HAM LAKE, Minn., April 25, 2018 /Christian Newswire/ -- In her new book "How I Became Relentless," Larissa shares her story of how she was a messed up pastors kid and God brought her from a life of partying, depression, and near suicide to experiencing true fulfillment in Jesus Christ. She was then faced with extreme persecution for her faith and God taught her to relentlessly endure and love those that mocked, isolated, and physically harmed her. "Your best life is not this life, it is the life in Christ Jesus." "Timely, heartfelt and straight to the point. Greatly encouraged and a real eye opener for the modern church!" "This is a story, a transparent transcript of a normal family, a testimony that sheds light on unlikely persecution, relatable and encouraging to every newborn Christian. It made me love God more!!!" "I cried multiple times. It's so beautiful!" This book is a must read for the times that we live in. You will be encouraged and know how to relentlessly pursue Christ and stand firm with God through any persecution. All profits from this book will be invested into sharing the Gospel in the Middle East! Larissa DeRungs is an evangelist and a fresh new author from the outback of Australia. She graduated bible college from Planetshakers College, Australia. She has proclaimed the Gospel to tens of thousands of people all throughout the world. 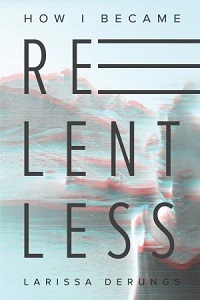 Larissa and her husband, Jon Paul, started Relentless Ministries for two purposes: save the lost and equip the believer. They are based in Minneapolis, Minnesota and mainly focus their ministry in the Middle East: Egypt, Lebanon, Israel, United Arab Emirates, and Iraq.